Marvel Studios ‘Black Panther’ schedules open casting call for Saturday, November 5th and Sunday, November 6th. Walt Disney Studios Motion Pictures and Marvel Studios will begin shooting on the live-action film in January, 2017. Filming will continue through May, 2017. Production will be taking place in Atlanta, GA with additional filming in Africa. All actors, extras, stand-ins and crew members must have legal eligibility to work in the entertainment industry in Atlanta, GA and in the United States. Details about the open casting call and how to also submit by email are posted below. Note: This film is using the working title “Motherland”. “Black Panther” is the eighteenth installment in the Marvel Cinematic Universe and the sixth installment of Phase Three. The film will center on T’Challa, the Black Panther, former king of Wakanda, one of the most technologically advanced nations on Earth. He is among the top intellects of the world, a veteran Avenger, and a member of the Illuminati. Using his powers and abilities, he has pledged his fortune, powers, and life to the service of all mankind. The plot will see T’Challa seek help from his personal body guards, the Dora Milaje, led by Okoye. Black Panther’s leadership is being threatened by two foes that come together, and so Black Panther gets the help of the CIA and the Dora Milajei to try to defeat the enemy. Starring in “Black Panther” is Saturn Award winner Danai Gurira as Okoye, two-time Black Reel Awards nominee Chadwick Boseman as T’Challa/Black Panther, and Golden Globe Award nominee Andy Serkis as Ulysses Klaue/Klaw. Also joining the cast are Academy Award winner Lupita Nyong’o as Nakia, CinemaCon Award winner Michael B. Jordan as Erik Killmonger, Golden Globe Award nominee Martin Freeman as Everett K. Ross, Academy Award winner Forest Whitaker as Zuri, Daniel Kaluuya as W’Kabi, and Florence Kasumba as Ayo. Two-time Black Reel Awards winner Ryan Coogler will direct “Black Panther” from an adapted screenplay written by himself and Joe Robert Cole, based on characters by Hugo Awards nominees Jack Kirby and Stan Lee. Lisa Satriano is 1st assistant director. AFI Award winner Kevin Feige will oversee production for Marvel Studios. Gold Lion Award winner Jeffrey Chernov will serve as line producer. Production manager is Helen Pollak. “Black Panther” is scheduled to be released in theaters on February 16, 2018. Walt Disney Studios Motion Pictures will handle domestic and international distribution. The following open casting call is being conducted by Tammy Smith Casting. This is for adults only at this time, with future casting calls for children to be announced. There is no experience required to be considered, and there are no costs or fees whatsoever to attend the open casting calls, or to be considered. Specific pay rates will be discussed at the open calls, however Tammy Smith has mentioned that the pay will be approximately $100 per day and up. 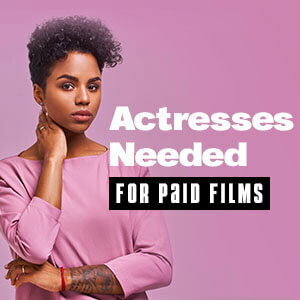 All actors, extras, stand-ins, photo-doubles and crew members are required to be legally eligible to work in the entertainment industry in Atlanta and in the United States. The majority of extras that are hired, must be local and/or able to work/stay in the Greater Atlanta Area as a local hire (on their own). They ARE, however, open to email submissions from distant places, for consideration, especially in the event that you are an outstanding type that they really need. • AFRICAN AMERICAN MEN AND WOMAN AGES 18 TO 90 – To portray population of the African nation of “Wakanda”, Black Panther’s homeland. People with heritage from ANY African nation are welcome. The film especially needs the following (not required): African style drummers, martial artists, MMA, boxing, wrestling, military/weapons handling/knives, stick fighting, and fitness trained athletic types. ***(ELDERS too, please! !- They can offer to pay for a family member to drive them if hired). Casting for other types of people will be posted at a later date. WARDROBE: Please show up wearing a good look for the photos that will be taken of any of the following – African wardrobe, Afropunk looks, tribal looks, or just show up in a neutral color tank top and form fitted shorts, capris, leggings, etc. Notes: Tattoos and piercings ARE welcome. Hair styles will vary and shaved heads (both men and women) will also be needed. Use the truck entrance gate and follow the “Open Casting Call” signs. 11:00am – 6:00pm both days. Only attend one of the dates. PHOTOS and INFO should be ALL TOGETHER in ONE COMPLETE EMAIL. 1. Please send 3 or 4 photos. ALL PHOTOS should be CURRENT photos and CLEAR (in focus, not blurry). 3. Please send NON-SMILING options as well as SMILING options for your photos. – a 3rd or 4th photo, if possible, of you dressed “looking the part” for what you are submitting for! – you are welcome to send a few more photos to be sure, but please no more than 5 or 6 total. 5. HAIR- current color/length and facial hair in your photos only!!! Do NOT send photos of a hair style or look that you don’t currently have!! Always include the following info in all submissions, in a LIST format in the body of your email. Please also make sure you put the correct SUBJECT, IN the subject line of your submission email, as listed under each type needed. This is key for your email to go into the right folder on our end. (NOTE: IF YOU ARE FROM FARTHER than a few hours away from the greater Atlanta area, please list/note if you have a LOCAL PLACE TO STAY. Note: List any Tattoos and piercings (where, how large, etc.) Hair styles will vary and shaved heads, both men and women, are needed as well. Please make sure you put the correct SUBJECT, IN the subject line of your submission email, as listed under each type needed. Otherwise, your email will go to the wrong place in the casting office email folders! T’Challa, prince of Wakanda, must rise to take the mantle of the Black Panther after his father, the king T’Chaka, is treacherously killed.